Quantum™ R-PE MESF Medium Level is comprised of four calibrated fluorescent populations, with different levels of RPE fluorescence intensity, and one blank population of uniform microspheres that are approximately the size of human lymphocytes (7-9μm). The excitation and emission spectra of the microspheres match those of cell samples labeled with RPE. The levels of fluorescence intensity in the different kits (Low, Medium and High) are intended to span the intensity range of common cellular analyses. Medium level kits are used for many types of analyses, and nicely span the range of typical cell samples. Common analyses include those for many surface markers, including CD4 / CD8. FCSC827A is used in the quantitation of RPE fluorescence intensity in Molecules of Equivalent Soluble Fluorochrome (MESF) units.  When used in conjunction with Simply Cellular® microspheres this kit also allows quantitation of Antibody Binding Capacity (ABC). 4) data comparison over time and between multiple instruments. Quantum™ is a trademark of Bang Laboratories, INC.